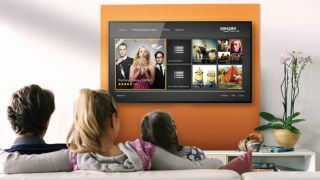 Amazon in talks to offer live sport through Prime Video | What Hi-Fi? Could the Premier League be on Amazon some day? Amazon Prime Video and Netflix have steered clear of offering live sport, but now the former is looking to change that. According to the Wall Street Journal, Amazon has held talks with the biggest sporting leagues in America concerning live streaming rights. The leagues include the NBA and NFL. Amazon reportedly wants to create an exclusive premium sports package to bundle with its £79-a-year Amazon Prime service. Prime currently gets you free one-day delivery on certain items bought from Amazon, and access to its Amazon Prime Video and Amazon Prime Music streaming services. Amazon is also said to want to offer a "skinny bundle" of live online channels, which could include some sports content. However, the rights to premium sports don't come cheap. Last year, Sky and BT forked out more than £5 billion for Premier League rights from 2016 to 2019. For their part, sports leagues want to be seen to be moving with the times. Hence they're making some content available on platforms such as Twitter and Facebook Live. So it's not inconceivable that some could be swayed by Amazon's offer. Jeff Bezos, Amazon's CEO, does have very deep pockets – he reportedly paid £160 million for three series of the new Clarkson car show The Grand Tour. If Amazon did succeed in luring some sports leagues away from traditional broadcast TV companies – and it's a big 'if' – it also likely wouldn't be able to start offering the content for some time, as these deals are generally locked down years in advance. Still, it's a sign of the times. And it's proof, if proof was needed, that Amazon isn't content to rest on its laurels.